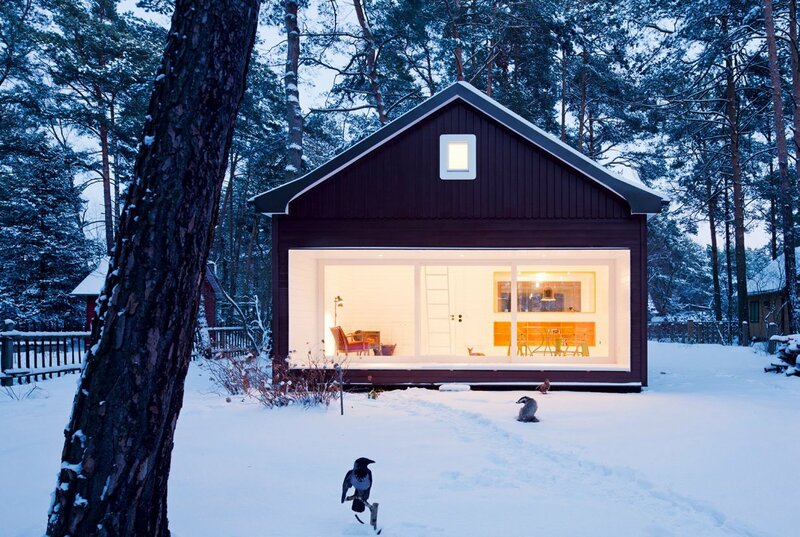 Choosing not to make a big to-do of itself, this cottage in Berlin, Germany, blends in with its surroundings. A wall of glass on one end allows a merger of the outdoors with the interiors, while white trim leaves the appearance of a snow-kissed façade year-round. By Atelier st Gesellschaft von Architekten mbHfrom the book Rock the Shack, Copyright Gestalten 2013.
from the book Rock the Shack, Copyright Gestalten 2013.